24/7 Activity Tracking: Tracks your daily activity at different intensity levels, and shows steps, distance and burned calories. 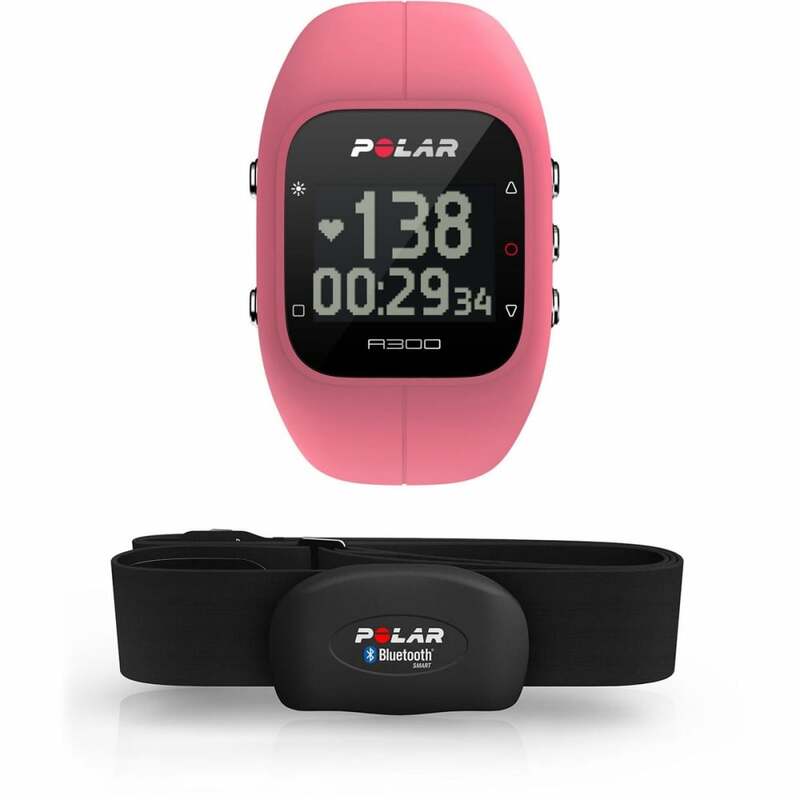 Heart Rate: When paired up with Polar H7 heart rate sensor, measures your every heartbeat and lets you know if youre mostly burning fat or improving your fitness. Gives the most accurate calorie burn in heart rate based training. Smart Calories: Lets you know exactly how many calories you've burned. The individual algorithm is based on your data: weight, height, age, gender and the intensity of physical activity. Fitness Test: Tells you exactly how your fitness is progressing by measuring your aerobic fitness at rest and evaluating your maximal oxygen uptake. Sleep: Automatically tracks your sleep time and quality. See and learn from your sleeping patterns in Polar Flow web service and app. Changeable Wristbands: Vibrantly coloured wristbands are easily changed to reflect your mood and style. Choose from Powder White, Charcoal Black, Sorbet Pink, Mellow Yellow, Indigo Blue and Storm Grey. Vibrating Inactivity Alert: Reminds you with vibration to get up after 55 minutes of sitting and add active breaks to your daily routines.